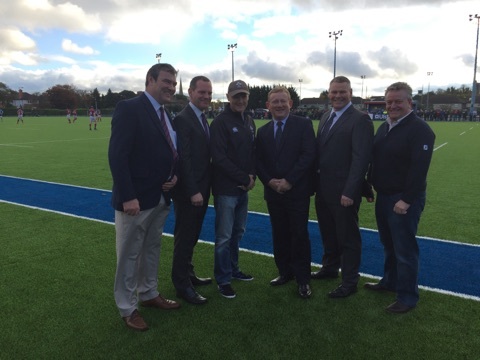 The O’Brien’s team were celebrating again with the completion and official opening of Clontarf Rugby Clubs’ brand new all weather pitch. The opening event was attended by leading figures from all levels of the game. Ciaran O’Brien represented the O’Brien’s team and was on hand throughout to explain how the latest technology, equipment and specialist skills were utilized to complete the work.